From the Convention Center to the hotel to planned off-site events, we want to be sure your convention delegates know exactly where to go throughout their stay in Seattle. 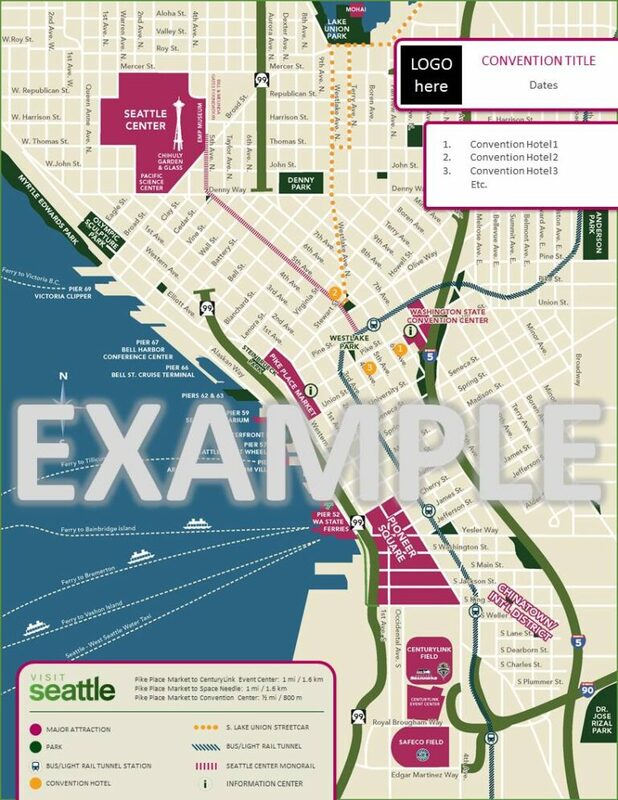 That is why we customize these downtown Seattle maps to your convention, identifying your contracted hotels and other points of interest. Contact our Convention Services team to start building your custom map.